Raffle tickets aren’t just for non-profit fundraisers. Many businesses are using them to help with boosting customer loyalty and appreciation. 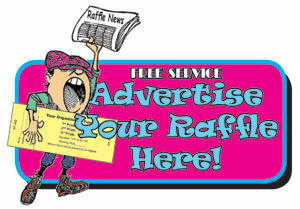 It’s as easy as having custom printed raffle tickets which can be handed out to customers or prospects which gives them the chance to win a valuable (or perceived as such) prize. You can surely see how this small and easy marketing act can engender excitement and goodwill towards your business. Think of ways to tie in multiple entries for multiple purchases or other actions that would be valuable for your business. Do you see how this can result in extra sales opportunities for your service or product? Your actions will also trigger the powerful law of reciprocity. When we are given something of perceived value we feel obligated to return in kind. And that can be good for the bottom line!